General Trading & Equipment Co. 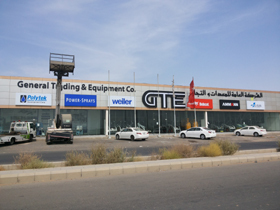 Established in 1976, General Trading & Equipment Co. (GTE) has been serving the Precast & GRC Manufacturers in Saudi Arabia and neighboring countries for more than 4 decades. 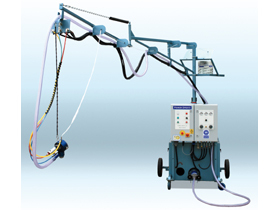 GRC Manufacturing Machinery from Power Sprays (UK). High Zirconia Content Alkali-Resistant Glass (ARG) Fiber from Nippon Electric Glass (NEG), Japan. Acrylic Polymer, Plasticisers & Rheology Modifiers from Fibre Technologies (UK). Mould Making Materials from Polytek (USA). Readymade Formliners from Architectural Polymers (USA). Computerized Hotwire Cutting Systems from CROMA (France). Acid Etching & Cleanining Machines from Kem-O-Kleen (USA). 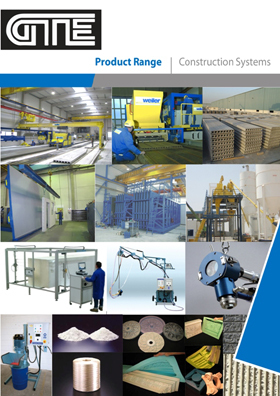 Precast & Prestressed Concrete Factory Equipment from Weiler (Germany). GTE extend continuous support to their customers through technical advice, training, factory planning, QA/QC etc and guide them to follow correct manufacturing procedures and produce high quality Precast & GRC products. GRCA Full Member membership is available to all GRC manufacturing Members who have completed one year of GRCA membership and been audited by an independent certifying body, appointed by the GRCA. Membership of the GRCA is open to all companies operating within the GRC market worldwide, including designers, engineers, consultants, material suppliers, installers and of course GRC manufacturers. GRCA Associate membership is open to anyone with an interest in GRC worldwide.